Recently, Josh Reeves wrote several great articles with simple ideas and ways you can be missional in your workplace, as well as simple ways to engage your neighbors (Part 1 & Part 2). 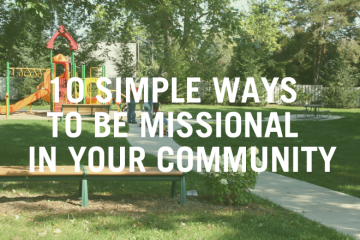 Josh will continue sharing new ideas in this 5-part series called Simple Ways To Be Missional In Your City and Community. 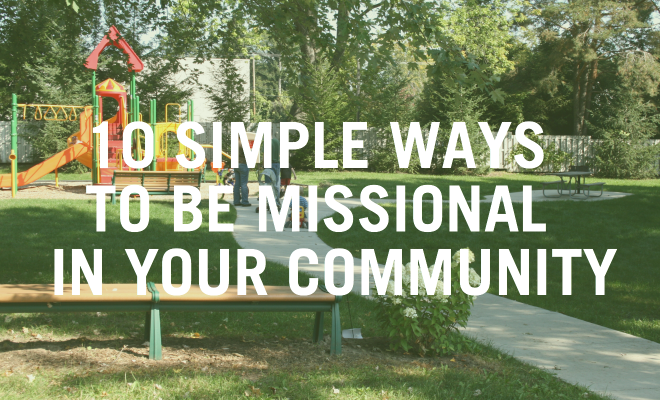 Do you have some other ideas or ways that you or your Missional Community have engaged your city? Let us know below in the Comments section! Pick one of these ideas and act on it this week. Tweet us @VergeNetwork and let us know how it went!